Zen Mountain Monastery is one of the preeminent Buddhist monasteries in the United States. Located in the Catskill Mountains, ZMM and it's urban affiliate -- Zen Center of NYC -- have been offering a path to Zen to thousands of practitioners since opening in 1980. Over the course of more than a year, we worked closely with ZMM staff in refining ZMM's messaging, refocusing their design, restructuring the architecture of their website, and updating / integrating a new systems backend. 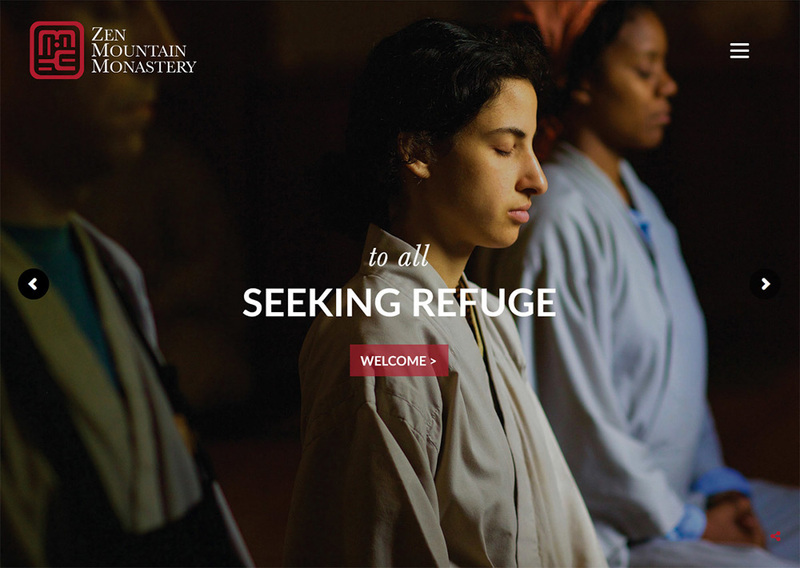 We created a beautiful, multipurpose website that serves as an informational portal to new visitors and members of the Sangha alike, as well as handling retreat bookings, donations, membership dues and more.